You’ll soon be able to get your battery running and head out on the highway on a variety of Harley-Davidson EVs. That according to news the Milwaukee-based motorcycle manufacture will offer “an exciting portfolio of two-wheeled electric vehicles” in the near future, including a possible e-scooter and bicycle. These EVs are an addition to Harley-Davidson’s first production LiveWire e-moto — announced earlier this year and set hit showroom floors by August 2019. So what new tech will Harley add to its predominantly chrome and steel internal combustion stable? 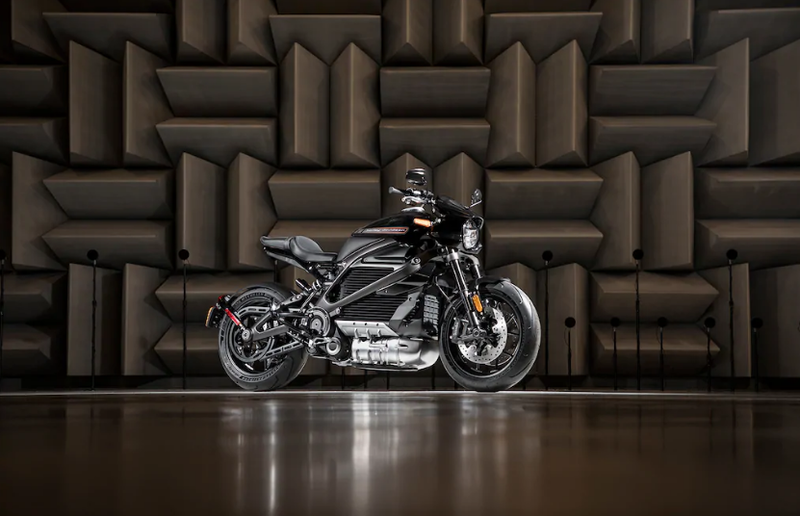 “A broader range of electric models that are light, nimble and ready to tackle the urban landscape…available by 2022,” was the description an HD spokesperson gave TechCrunch. Harley-Davidson plans to make five production EVs in total, two by 2022, according to the spokesperson and an interview by Chief Operating Officer Michelle Kumbier. Harley isn’t ready to “take the full cover off” yet, the spokesperson said, but did share some indicative concept photos of one lightweight electric motorcycle, an e-scooter and an e-bicycle. Harley’s EV development started with the 2014 Project LiveWire concept motorcycle, which will become its full-sized electric LiveWire motorcycle by next year. The electric news came as part of a new growth plan announced by CEO Matthew Levatich to expand HD’s lineup of lighter motorcycles — including several new gas bikes — and push more aggressively into emerging markets such as India and China. Levatich placed “enabling E.V. technology” squarely in Harley-Davidson’s priorities. He said HD looked “to create new riders,” meet them where they are “in the cities” and give them “a cool product…that is much more twist-and-go” — a reference to electric motorcycles’ no clutch, no gears design that also makes them easier to ride. Harley’s revised focus comes as prevailing trends have brought financial pains to many big motorcycle makers, including Harley-Davidson. 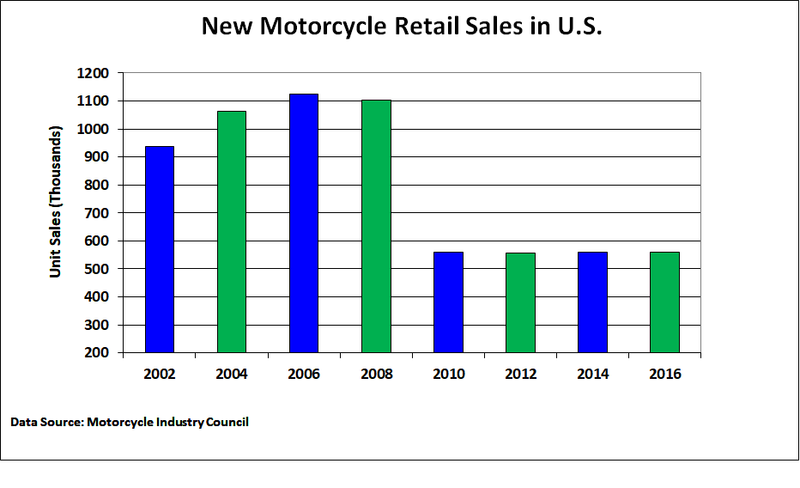 Since the recession, America’s motorcycle sector has been in the doldrums. New bike sales have dropped roughly 50 percent since 2008 — with sharp declines in ownership by everyone under 40. As TechCrunch reported in February, and this recent e-moto feature, Harley and the entry of several e-moto startups could shake up the motorcycle industry. Three e-motorcycle startups — Alta Motors, Energica and Zero Motorcycles — have revved up promotion, distribution and sales in the U.S. They are betting on pulling more gas riders to the e-moto experience and attract more young folks and women into buying motorcycles. E-moto and scooter sales in the U.S. — currently 12.9 percent of the market — are expected to grow to 598K units worth $304 million by 2024, according to Global Market Insights. GMI projects global electric motorcycle and scooter sales to exceed $24 billion by 2024. On the tech side, two-wheel gas manufacturers have mostly stagnated around EV concepts. None of the big names — Honda, Kawasaki, Suzuki, BMW, KTM — offer a production electric street motorcycle in the U.S. Competitive pressure from EV upstarts — added to Harley’s EV production commitments — could pressure the likes of Honda, Yamaha and Ducati to produce electric motorcycles sooner. A shift in two-wheel preferences also could prompt fresh acquisitions and alliances in the motorcycle world. Shortly after their LiveWire EV commitment earlier this year, Harley-Davidson took an (undisclosed) equity stake in Alta Motors and entered into a co-development partnership. However things play out, Harley-Davidson’s commitment to produce two-wheelers that connect to wall sockets versus gas pumps — and buzz instead of rumble — signals electricity could upend convention in the motorcycle industry.